Round Up Your Spare Change for the Alliance! The Sportsmen’s Alliance and its Foundation are excited to introduce a new way to protect your passion for the outdoors: Round up for the Alliance. Now, with every purchase or bank transaction you make with your credit card or debit card linked to the roundup app, each purchase is automatically rounded up to the nearest dollar and donated to the mission of the Sportsmen’s Alliance Foundation. Your spare pennies can change the fight to protect and advance America’s heritage of hunting, fishing and trapping. The outdoors have given far more than we can ever give back, but enrolling in Round-Up for the Alliance is a small way to return that gift. It’s safe, secure and extremely easy to contribute, plus your donations are all tax-deductible. There is no cost to sign up, and you control your giving by establishing limits through your settings after you login to create an account. Through the Donate Your Change platform, all bank account information is encrypted, as with any secure online banking transaction. 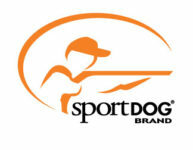 No donor bank account information is stored on their company server or by the Sportsmen’s Alliance Foundation. To get started, click the Round Up image! About Donate Your Change: Donate Your Change is dedicated to re-energizing charity fundraising efforts for non-profit organizations engaged in making a positive difference in our culture, both in the US and Canada. The Donate Your Change app was developed and integrated with the Finicity® database network of banks/credit card companies.